We lose the meaning of it all, in the quest to get it right. This Christmas thing is hard to fathom, under our own might. We’ve all heard of the star that guided them nigh. Listen …. Can you hear him pursue? just to be closer to you? Wanting to be where you are? Like the bright Bethlehem star? This love that conquers death? A promise he’d made long before. On a humble stable floor. To draw you close and know your pain, and forever conquer sin. Who would grow to save the world. Heard in an infant’s cry. That’s the meaning of Christmas. As the angel choir withdrew into heaven, the sheepherders talked it over. 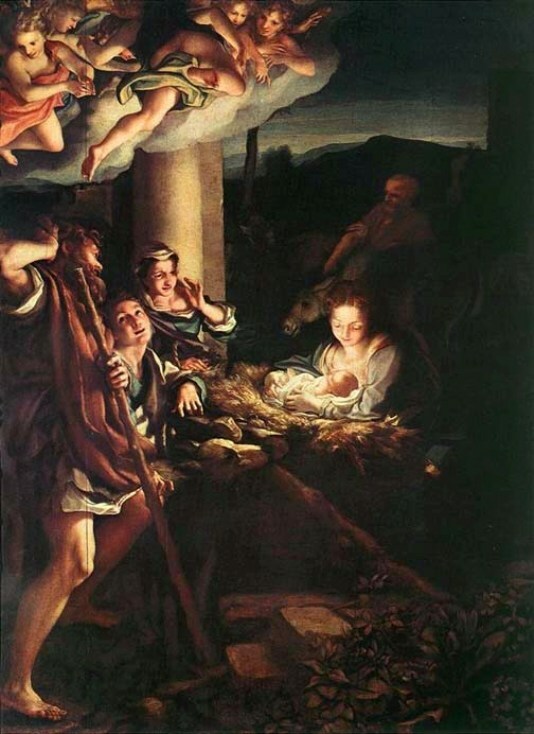 “Let’s get over to Bethlehem as fast as we can and see for ourselves what God has revealed to us.” They left, running, and found Mary and Joseph, and the baby lying in the manger. Seeing was believing. They told everyone they met what the angels had said about this child. All who heard the sheepherders were impressed. Mary kept all these things to herself, holding them dear, deep within herself. The sheepherders returned and let loose, glorifying and praising God for everything they had heard and seen. It turned out exactly the way they’d been told!